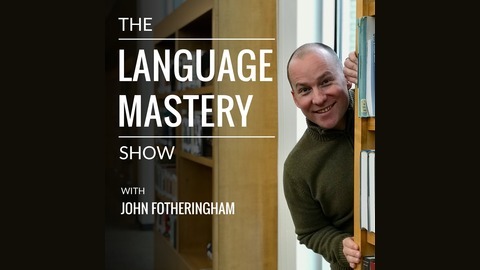 The Language Mastery Show brings you interviews with the world's best language learners. 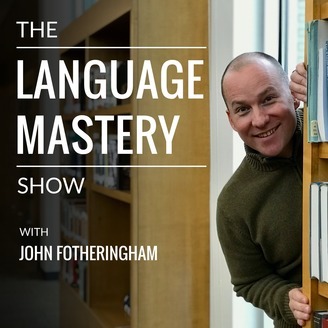 The show is hosted by John Fotheringham, a linguist and author obsessed with making language learning as fun and effective as possible. Each episode includes a long-form interview with a linguist, polyglot, author, innovative educator, or top language blogger, with just enough silliness and puns to keep things interesting. For show notes, visit LanguageMastery.com/show. Claude Cartaginese is one of the kindest guys you will meet in the language learning blogosphere, and I really appreciate all he has done to encourage language learners, gather advice from the world's best learners, and share his infectious enthusiasm for language learning. In 2010, he released a monumental e-book called the The Polyglot Project, a free PDF which brought together tips and advice from 43 polyglots, hyper-polyglots, linguists, YouTubers, and language lovers, including Mike Campbell, Steve Kaufmann, Benny Lewis, Moses McCormick, Stuart Jay Raj, Anthony Lauder, and many more. In the interview (recorded in 2010 as part of my Master Japanese guide), we discuss: 1) The mistakes he made when starting out in Japanese and what he would differently if he started over again. 2) Why you should focus on one language skill at a time. 3) Why you should start with listening and speaking before reading and writing. 4) Why it's crucial to choose methods and materials that support your unique learning goals. 5) When Japanese learners should start learning kanji. 6) Why "mastery" and "perfection" are not the same thing. 7) Barry Farber on how we "marry" some languages and simply "date" others and why "expertise is a narcotic." 8) The power of modern asynchronous learning. 9) The challenge of "resource overwhelm." 10) Why language study should not be required in school. 11) Claude's language learning habits and routines. 12) Why languages are not "difficult," just "different." 13) The similarities between learning a language and learning a martial art. 14) How the ego gets in the way of learning a language. For show notes, visit: LanguageMastery.com/blog/Claude-Cartaginese.